After 15 years at the forefront of genealogy advice, Your Family History is saying farewell. 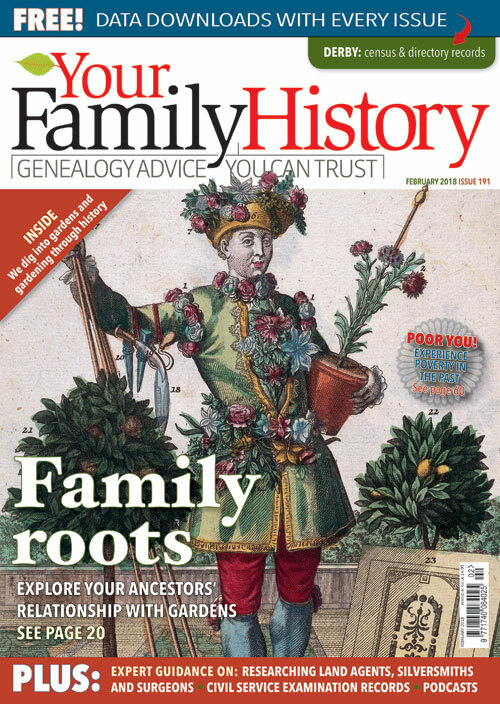 Issue 192 (out in mid-February) will be the last issue you will receive - and, once again, it will be packed with useful information on how to get the most out of your research. As a loyal subscriber, we thank you for your support and wish you all the very best in your family history adventure. However, we have a number of other fantastic magazines to choose from, click one of the links below to browse. Subscribe to a great range of technology magazines including Computeractive and PC Pro. Covering topics from Apple to Zeiss and everything in between. Whether you're into supercars or prefer the classics, we have a magazine for every car enthusiast! Our magazines include Auto Express and evo. Whether you are looking for a magazine to help you get moving or just something to read and relax, lifestyle has something for everyone. Including Men's Fitness, Cyclist and Health & Fitness. An objective and refreshing overview of the news, the very best financial advice and our fascinating current affairs magazine for young curious minds. Don’t miss our subscription offers for The Week, MoneyWeek, and The Week Junior.